Why good product photos are important to your ecommerce website. Photos are the number one attachment used on most social media sites. In today’s competitive marketplace, a big part of having an attractive and effective ecommerce website means having high-quality, beautiful product photography. It’s your best promotion because it immediately projects quality and value which results in more sales. 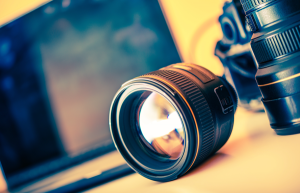 Without proper images, you would be selling yourself and your business short. All of this goes beyond aesthetics. Products shot with soft lighting, good colour combinations and an eye-catching arrangements is a winning combination. Sites such as Etsy, Pinterest & Society6, have a huge competitive base. Product photos online can make or break your ecommerce site so make sure they are high quality so they stand out. This can be a point and shoot camera, a higher end camera such as a Nikon or your trusty smart phone. Today’s smartphones have advanced their photographic capabilities. You’d be surprised how many high-end blogs and sites use their phones to showcase their products online. A tripod helps steady your shots. You can set up a camera or get an attachment that supports your phone to be attached to a tripod. With natural light, it’s important to make sure the camera does not shake and a tripod can help with that. Once you have your items ready to be photographed, set up the tripod and then it is just a matter of just changing the items as you photograph them is succession. A background can be easily set up with a sheet that had been ironed flat to create a seamless background. It can be pinned or draped to help your products stand out. It is challenging to shoot product when there is a pattern next to it or if the background is too colourful or too dark. For small items, it is good to have a sturdy table large enough to set up in front of your white background near natural light. A table helps you get creative with placement and arrangement of your items. Have masking tape on hand to keep cords in place on the floor so you not trip on them. For your shots, use tape to set up and prop up items up in such a way to get the best angle. Tape helps everything stay in place. This can be card stock to foam core that can be used to bounce extra light onto your products. In this setup, you can have someone hold them for you or place them on chairs or stands near you product shoot. You are going to need room to set up a back drop, a table, a tripod and a computer. Make sure you have enough room to move around. Set up in a room that has a good size window. If you can, try doing this when the sun is not directly beaming through the room. This can alter the pictures by creating glaring shadows, adding unwanted shine or light streaks. The idea is to have a soft shot. Sites such as Food52, Pottery Barn and Design Milk are fantastic sites to get inspiration about lighting as well as setup and placement. Lastly, getting the right product shot needs planning and organisation. There will be some trial and error in the beginning. The good news is, once you begin this process you can get it all done in one session. You can then download them, crop and alter your photos. Once they are just right, your products are ready to go online!